FAIRHAVEN, Mass. – A two-year mission to design greater speed into every detail of driver technology has led to the introduction of the new Titleist TS drivers, available in golf shops Sept. 28 with fitting events beginning today at locations nationwide. 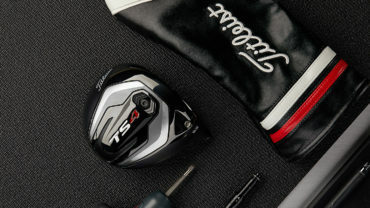 At the U.S. Open at Shinnecock Hills, the first week that TS (“Titleist Speed”) drivers were available for competition, it became immediately clear that the new TS2 and TS3 models had passed the test. Seventeen players put TS drivers in play – including Justin Thomas, who unleashed a career-long 422-yard drive in Round 1 – an unprecedented shift for the week of a major championship. 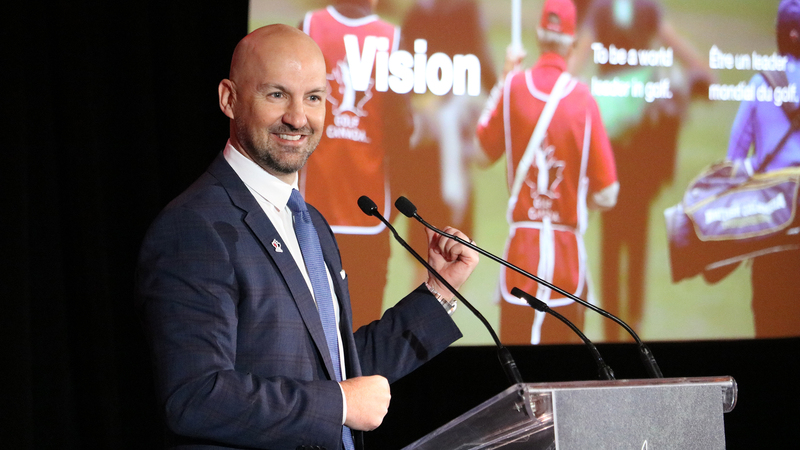 Three starts later, Thomas earned his first World Golf Championships title with a four-shot victory at Firestone, crediting the performance gains of his TS3 9.5º driver. Ultra-Thin Titanium Crown. The thinnest cast titanium crown in the game (20 percent thinner than 917 drivers) allows weight to be shifted lower and deeper. Thinner, Faster Face. The fastest face Titleist has ever made – a refined Radial VFT (variable face thickness) that reduces weight by up to six grams – delivers faster ball speeds and increased forgiveness. The TS face is so thin that the score lines must be lasered on (instead of etched into the face like prior generations). New Streamlined Shape. Enhanced aerodynamic shaping reduces drag by up to 20 percent, allowing golfers to swing faster, increasing club head speed for more distance. Optimized Weight Distribution. Refined crown and variable face thicknesses create the lowest CG ever in a Titleist driver for higher launch and lower spin. The resulting MOI is up to 12 percent higher than 917, creating a powerful combination of speed and stability. 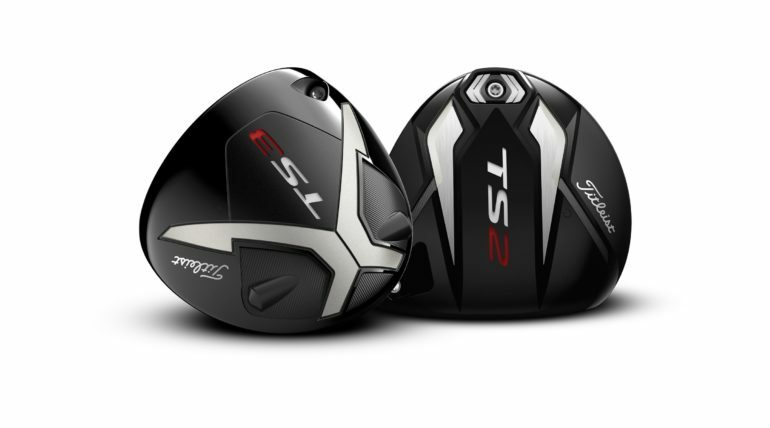 TWO WAYS TO SPEED: TS drivers bring more speed to golfers through two distinct designs. The new TS2 lets golfers swing aggressively with maximum forgiveness across the face, while TS3 offers speed-tuned distance with dynamic forgiveness through SureFit CG. Both models feature Titleist’s patented SureFit hosel with 16 independent loft and lie settings to create a more consistent and optimized ball flight through precision fitting. TS2 DRIVERS – STRAIGHT SPEED. TS3 DRIVERS – SPECIALIZED SPEED. PREMIUM STOCK SHAFTS: The TS drivers stock shaft lineup features four new aftermarket models – KURO KAGE Black Dual Core 50 (High launch and moderate spin), TENSEI AV Series Blue 55 (Mid launch and spin), HZRDUS Smoke Black 60 (Low/mid launch and spin) and Even Flow T1100 White 65 (Low launch and spin) – developed by the game’s top shaft manufacturers using insights from Titleist’s industry-best motion capture and consumer testing. Each of these shafts will be making their market debut with TS drivers. Moderate swing speed players will benefit from Mitsubishi’s new Straight Flight Weighting (SFW) technology, which promotes straight flight in lightweight driver shaft options (KURO KAGE Black Dual Core 50 and TENSEI AV Series Blue 55). In addition, Titleist offers an industry-leading number of custom shaft choices. INSTANT TOUR ADOPTION: Since the debut of TS drivers at the U.S. Open, more than 100 players around the world have switched to new TS2 and TS3 models, including Justin Thomas (TS3 9.5º), Adam Scott (TS3 10.5º), Bill Haas (TS2 9.5º), Jimmy Walker (TS3 8.5º), Brian Harman (TS2 9.5º), Cameron Smith (TS2 9.5º), Rafa Cabrera Bello (TS3 9.5º), Webb Simpson (TS3 10.5º), Byeong-Hun An (TS3 9.5º), Charley Hoffman (TS3 9.5º), Peter Uihlein (TS3 9.5º), Chesson Hadley (TS2 10.5º) and Ian Poulter (TS3 9.5º). In June, Michael Kim (TS2 10.5º) became the first player to post a victory with the new Titleist TS driver, winning the John Deere Classic by a record eight shots. For the tournament, Kim averaged five yards more off the tee (294.8) and was nearly 30 percentage points (82.14%) higher in Driving Accuracy compared to his 2017-18 season averages. FREE TRIAL & FITTINGS: Beginning Sept. 6, golfers can experience the speed of TS drivers by attending a Titleist Fitting Day or Trial event (including Titleist Thursdays) being held at locations nationwide. 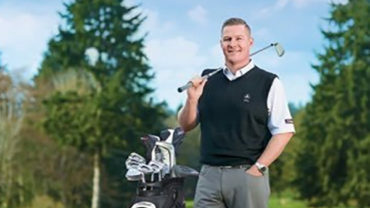 To find an event, or book a free TS metals fitting with a Titleist Product Specialist, golfers can visit www.titleist.ca/events. AVAILABILITY: Titleist TS drivers are available in golf shops worldwide beginning Sept. 28 at a price of $659.99.